There’s nothing I love more than stepping out of the shower and into a toasty warm towel. It’s one of life’s little luxuries. But with thousands of towel warmers on the market, it’s tough to know which one is best. 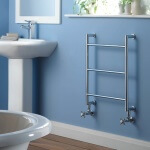 We’ve reviewed all the best towel warmers on the market, so you can buy with confidence! Just looking for the best towel warmer for your money? Take a quick look at the comparison table below for my top picks. 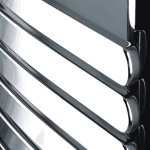 Or keep reading for a detailed towel warmer buying guide! 3 What Exactly is a Towel Warmer? This one is a best seller. The 6-Bar Freestanding is a top-of-the-line electric towel warmer made by LCM Home Fashion. It comes with wall-mounting brackets and freestanding feet. So you can use it in a variety of differently designed rooms. If you have a pool, you can use the LCM Home Fashion to warm your towels while you’re swimming. This is especially useful on cold days near the beginning and the end of summer. If you have a hot tub or a home-spa, you can mount the towel warmer directly to the wall. 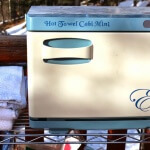 A permanent towel warmer is an excellent addition to any home spa. 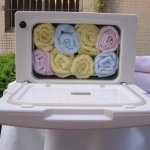 The towel warmer can also be used as a drying rack if you want to dry clothes quickly. After laying the clothes or towel on the rack, simple plug it in and it will heat up to 122 degrees Fahrenheit. This is the ideal temperature for drying clothing without damaging the cloth. A few people have reported that the device will overheat if you leave it plugged in for more than 4 hours. In my opinion, this one is not a big issue. To combat this, I recommend you to purchase an energy-saving outlet timer for a few dollars. And use that along with the towel warmer. 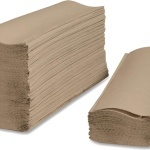 This will ensure that the towels are heated to perfection without any chance of overheating. Love something modern for your bathroom? The Amba RWH-CB is a radiant towel heater with a sleek, modern design. This device is an excellent addition to your modern kitchen, bathroom, or home spa. It doubles as a wall-mounted towel rack. So you can use the device when it’s not heating your towels. The stainless steel exterior is completely waterproof and comes with a brushed finish. The Amba has a handsome curved design that looks great in any room. You can even have the device outside by a Jacuzzi or pool. That way, you don’t have to go inside to get a warm towel. This towel warmer has ten heated crossbars. And they will offer you an optimal heating and drying pattern. By interweaving the towel through the bars, you can heat the entire towel to 112 degrees Fahrenheit in a very short amount of time. A few people have mentioned that the towel heater uses quite a bit of electricity. That could be a bit of a drawback if you’re trying to cut back on your utility bills. But you can fix this. Simply turning the device off when you’re not using it. And that should keep your electricity usage to a minimum. 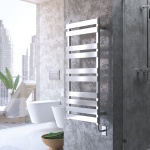 If your mission is to pick out a good deal with good construction from this list of the best towel warmers, then you can consider this one. A smaller version of Warmrail’s popular Kensington model. This HSRC Regent is a great option if you want a wall-mounted towel warmer that works effectively without taking up too much space. The Regent is enough to heat large bath towels to the optimal temperature without getting too hot to use around children and pets. This model offers a high-end design and functionality without costing an arm and a leg. That’s why I really like it among many other smaller towel warmers. Now you can turn your bathroom into a professional-grade spa. And your entire family can enjoy the benefits of using heated towels. The Warmrails is also great for practical applications like drying wet undergarments and linens. You can leave the Regent on all day if you want to use it as a drying rack. The device only uses 50 watts, which is less than the average light bulb. Talk about energy efficiency here, which is a common theme you can see from these best towel warmers. You won’t see a significant increase to your utility bill, and you’ll have all the benefits of using a towel warmer. Some customers have mentioned that the device doesn’t get as warm as larger models. To combat this, I recommend leaving the towels on the rack for slightly longer than you normally would to get reach the desired effect. If you want something that does its job well without messing with your utility bill, give this product a try! You can find many deals on this product. But I think this one is the best of all. Check it out. The RWH-CP is a top-of-the-line towel warmer. It mimics the power and versatility of professional-grade towel warmers without breaking the bank. The device is made from high-quality stainless steel. That means it will complement the color scheme of your modern bathroom. The towel warmer has a waterproof exterior that allows you to use it to dry clothes, linens, and damp towels. Its 10 heated crossbars can be used to heat or dry multiple towels at once. That makes it ideal for a master bathroom. The Amba can be mounted outdoors if you want to have it near your pool or Jacuzzi. Some users have trouble mounting the device on their own. Because it has to be hardwired to an electrical outlet. A harder choice from the list of the best towel warmers when it comes to installation. However, the manufacturer recommends hiring a certified electrician to ensure that all the electrical connects are made correctly. The 15-watt towel warmer is eco-friendly and won’t use very much electricity after it reaches the optimal temperature. It can also help keep the room warm and dry. If you leave the device running all day, the towel warmer will help reduce odors and mildew by keeping the room at a low humidity. This is especially useful if your bathroom isn’t well ventilated. I highly recommend this product. And you simply won’t find a better price than this. The design of this Amba Solo Freestanding is borrowed from classic towel racks. This unit offers exceptional heating capabilities in a relatively small package. The rack has ten horizontal bars that are spaced evenly to maximize the amount of heat that’s transferred to the towels. 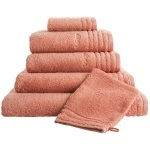 The manufacturer recommends weaving the towel between each rung to ensure that the entire towel is heated. The Amba reaches its maximum temperature of 149 degrees Fahrenheit after only 30 minutes. This is much quicker than the average towel warmer. And this makes the Amba an excellent option if you want to hop in the shower and have heated towels ready for you by the time you finish. Some customers have mentioned that the device isn’t compatible with European electrical circuits. I think this is just a minor drawback compared to what it can bring you. You can purchase a 110-volt to 220-volt converter for a few dollars if you want to use the Amba in a European country. The device has a waterproof exterior, so it can also be used as a drying rack. No matter what you use it for, the Amba SAF-SB-24 Solo Freestanding will make an excellent addition to any bathroom or bedroom. 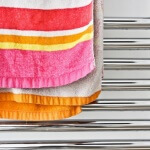 Another good product from this list of the best towel warmers that I recommend to you. What Exactly is a Towel Warmer? In short, it is a household device that you can use to hang your towels and keep them warm or dry them up. You can also call it a towel warming rack, or towel heater. And thanks to modern technologies, this kind of product is becoming more affordable than ever before. But there are a lot of products on the market right now, and you might risk bringing home not-so-good products if you don’t know what to look for. That’s why I highly recommend you check out the following products. They’ve proven themselves to be money worthy by many customers before. While many things have changed over the years, the prices on towel warmers has dropped considerably. You can generally find a decent one for around the $200 range. It is also suggested that if you want something nice that will last you a great many years, then spending around $300 is probably your safest bet. And you should know this. The amount that you are willing to spend will be a big deciding factor. And it will likely be one of the best ways to find out a good choice. You will find that there are two types of warmers that you can choose from. It means that when installed, you connect the warmer to your hot water through the wall to use the water from the pipes to warm your towels. The second option you have is Electric warmer. That means you will need to plug in to use and remember to unplug it or turn it off when you are done using it. The choice you make when deciding between these two options can be minutely difficult. With the hydronic option, you may want a plumber to install. While the other can be installed by yourself with little to no effort. To make this decision you will need to consider each of your options carefully and decide which option will suit your needs as well as cost you the least in the end. And it’s all about design and finish. There are many options available for designs and finishes for your personal warming device. You can find ones that are fixed to the wall and possess moving arms or stationary arms. You may find rectangular shaped piping and rounded edged piping options as well. And you can most certainly find them in a box or drawer style for easy placement and storage. These designs are not only easy to incorporate into any bathroom, but can add a fun and unique feeling to the room as they warm your towels while you bathe. The finish options that you have are also fun and exciting as you can choose from finishes such as chrome, bronze, and so many others. You may even feel like redecorating once you have found the best towel warmers that suit your own personal style. So where would you put your towel warmer when you buy it? Do you want something that mounts on the wall? Or sits on the floor? Or is a bit more portable and can be plugged in and moved around? This is extremely important as this can help you determine what you are going to spend. If you want a hydronic wall mounted device, then you may want to look into the cost of a plumber to install it for you. If floor models are more your style, then maybe an electric floor model will suit your home best. You can even find models that are more like a box enclosure with drawers or half doors that can sit on a shelf while you use them. 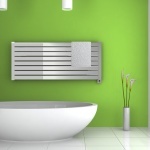 Take a look at my previous list of the best towel warmers for more options. Once you have chosen and installed your towel warmer, simply fold your towel in half long wise. And drape it over your warmer to warm while in the bath. Or you can flatten your towel and lay it over the warmer to dry. 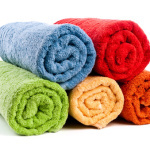 If you notice your towels are cool on one side rather than thoroughly warmed, place a second towel over the one you intend to use to prevent the outer fold from cooling in the air. Not only will this warm the entire towel beneath the top one, but you will be happier with the level of warmth once you have come from the bath or shower. Always remember that after each use, you should turn off your warmer and remember that they may take a little while to warm up upon each use. OK, you’ve made it to the end. I hope that after reading this guide, you’re now better equipped to pick up a good product on your own. If you need any further assistance, don’t hesitate to contact me.